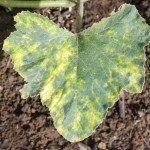 It can be difficult to differentiate between leaf-related problems that occur in the summer garden, but angular leaf spot disease is pretty distinctive, making it easy for new gardeners to diagnose successfully. Plants that develop very regular leaf spots that follow veins may be suffering from this disease. Read on to find out more. What is Angular Leaf Spot? Angular leaf spot in plants is caused by several bacteria that survive in seeds and plant debris, including Pseudomonas syringae and Xanthomonas fragariae. These bacteria are somewhat host-specific, with P. syringae targeting cucurbits and X. fragariae attacking strawberries. Symptoms first appear as small, water-soaked spots on leaves, but spread rapidly when conditions are moist and ambient temperatures are between 75 and 82 F. (24-28 C.). Spots expand until they fill the entire area between leaf veins, but do not cross over, which creates a tiled appearance on larger leaves. Older spots may dry out and tear, leaving holes behind. On fruits, angular leaf spot disease manifests as perfectly circular, water-soaked spots, much smaller than those on the leaves. 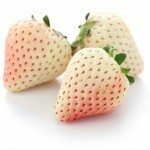 As the disease progresses, the spots take on a chalky white appearance and may crack open, allowing pathogens to contaminate fruits and cause fruit rot. Treating angular leaf spot is not a simple, straightforward task. Once a plant is infected, it cannot be cured easily and most gardeners will remove the plant from their garden to prevent further spreading of the disease. Future problems can be prevented by only using certified, disease-free seed, practicing a three-year crop rotation with different plant families and making a habit out of cleaning up plant debris as it falls to the ground. Beds with poor drainage or that are over-watered favor angular leaf spot — pay close attention to your watering habits if this disease has already developed in your plants. Before watering, check the soil moisture level with your hand. Unless the top 1 to 2 inches of soil feel dry to the touch, do not water; and when you do, make sure to water at the base of plants. Good watering practices can reduce the risk of many diseases, including angular leaf spots in plants.